The perfect handout that answers "Why join FCCLA?" Great for Open Houses, display in your classroom, or post on your FCCLA Bulletin Board! Download a copy below. Encourage other FCS teachers to get involved with FCCLA. ​Use this flyer and your personal experience to encourage other teachers. 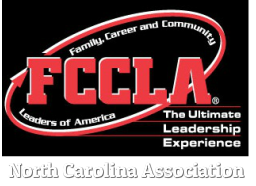 Are you new to FCCLA? Trying to start an FCCLA chapter at your school? (1) What do I, as a chapter adviser ( new or returning),need to do? Join the National FCCLA Advisers Facebook Page to network with other advisers from across the country and have access to resources, project ideas, and lesson plans which are posted weekly. (2) Do I aim to instill students with a love of learning?  Advising an FCCLA chapter can be an excellent adventure with rich rewards, a stronger FACS program, closer relationships with students, and personal and professional recognition. ​ Keep your eye on the prize, relax, and rely on your student’s creativity and enthusiasm! Don’t forget about Social Networking, explore the links below, and join other FCCLA Advisers across the United States.